President Akufo-Addo has promised the Musicians Union of Ghana (MUSIGA) a new national headquarters by the end of the year. 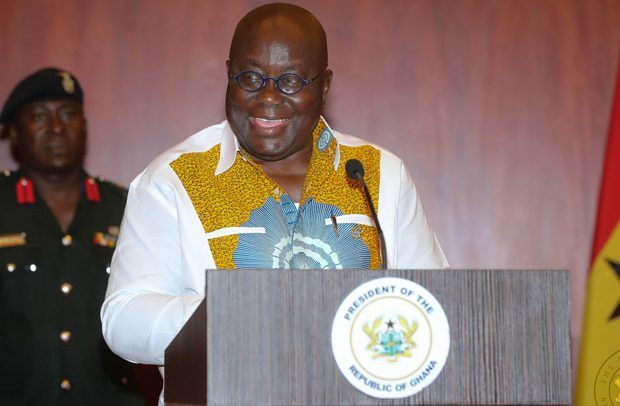 The president made the promise at the sixth edition of the MUSIGA Presidential Grand Ball, which was held at the Accra International Conference Centre (AICC) last Sunday night. Speaking at the ceremony, the president revealed that he had already instructed the Ministry of Works & Housing to relocate the union following the commencement of the Marine Drive Project at the present location of MUSIGA. He also spoke about some of the initiatives by his government to develop the creative arts in Ghana such as the work being done leading to the passage of the Creative Arts Bill, which will involve the establishment of a creative arts fund to assist in the work of creative arts practitioners. The MUSIGA President, Bice Osei Kuffour (aka Obour), called on corporate Ghana to continue to support the union in its efforts to improve the lot of the ageing musicians in the country, which was his vision eight years ago when he sought to become the MUSIGA president. Obour also called on President Akufo-Addo to reintroduce music education at the basic level because of its potential to improve musicianship in Ghana and also its pedagogical benefits. During the event, Kofi Abraham, Pat Thomas, Naa Amanua, Asabea Cropper, Kwadwo Akwaboah and Abirekyireba Kofi Sammy were honoured. Others who were also honoured at the event were Dr. Kofi Amoa-Abban, Vodafone, 4Syte TV, Kwame Sefa Kayi and Ransford Antwi, founder of Space FM and Sun City Radio. It witnessed performances from musicians such as Patience Nyarko, Adina, Tic Samini, Bob Pinodo, Asabea Cropper, Naa Amanua, Pat Thomas, Daddy Lumba, among others. Present were First Lady Rebecca Akufo-Addo, Vice President Dr. Bawumia, Samira Bawumia, ministers of state, captains of the industry, members of the diplomatic corps, musicians and MUSIGA executives.